Puerto Rico is filled to the brim with many exciting natural attractions and fun things to do. But what would be considered the most exciting of them all? Between enjoying the scenic view atop El Yunque National Forest to the surreal experience of paddling into a bioluminescent bay, there’s little reason why thousands of people flock to such a tropical vacation destination. After all, with the ease of travel for United States citizens (that’s right, no passport or currency exchange required here! ), it’s easier than ever to book your flight into San Juan, Puerto Rico. 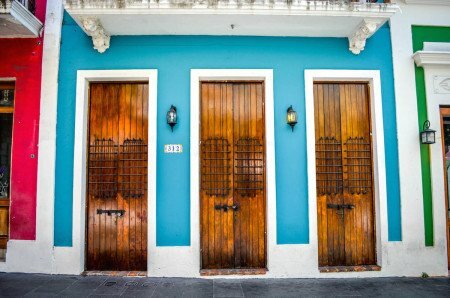 So without further ado, join me as I step back and relive my experience by narrating the top fun things to do in Puerto Rico! 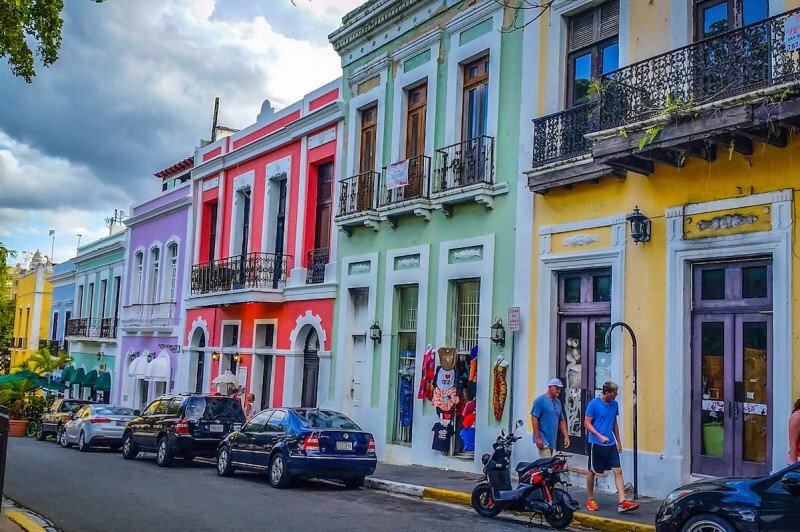 You just can’t beat a relaxing day roaming the streets of Old San Juan, enjoying the exotic, yet vibrant colors of the buildings while smelling the rich spices coming from local restaurants. If given the chance, take some time to try some of the local dishes at restaurant like Vaca Brava and maybe even try eating something more exotic like tripe (cow stomach) stew…I promise it’ll be an experience you’ll never forget! 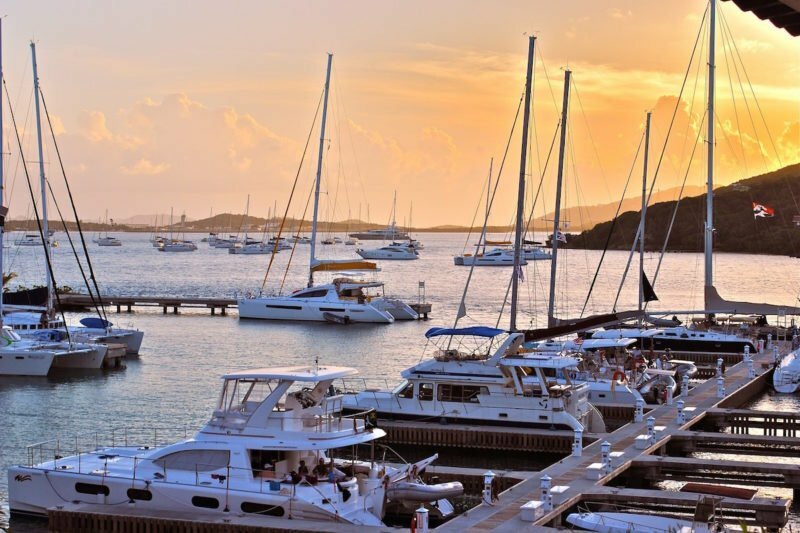 Nothing quite beats taking an adventure around Puerto Rico like sailing. And if it’s every bit of relaxing as my sailing adventure around the Paradise Coast, you certainly won’t regret it. Try taking a sailboat on your own or booking through a local company the allows flexibility in where you go. All of the surrounding small islands are a breeze to sail through (literally), and you’ll get some amazing diving opportunities! 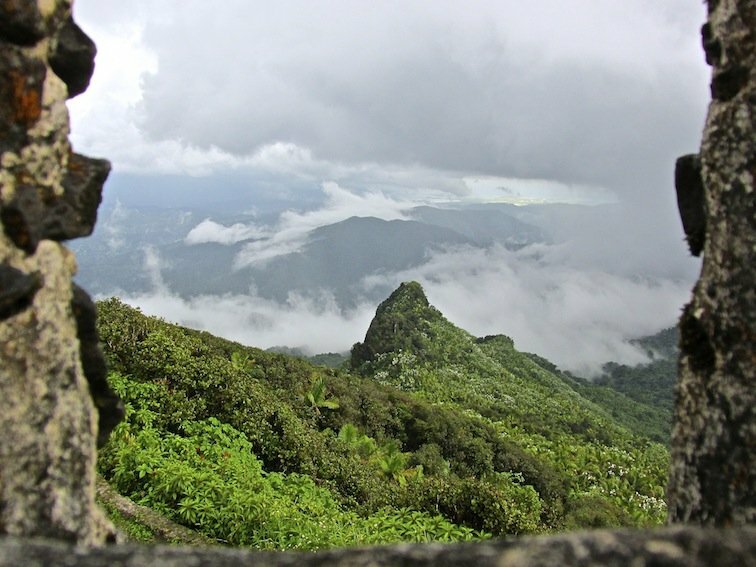 The El Yunque National Rainforest is one place on the main island of Puerto Rico you MUST experience. The long, windy roads taking you to the top of the mountain are fantastic but the real magic happens on the hiking trails. Park the car and bring a camera as you are given opportunities to view wildlife in their natural habitat as well as some spectacular views at the peak. It’s most interesting on a cloudy day because if fog rolls in, you step back in time as if you’re on the set of Jurassic Park. Oh, and don’t forget to pack a bathing suit. After hiking in the hot and humid weather, there’s nothing more refreshing than taking a dip just below the waterfalls! Being an adventure travel blogger, I’ve been given my fair share of opportunities to see some pretty nice beaches. 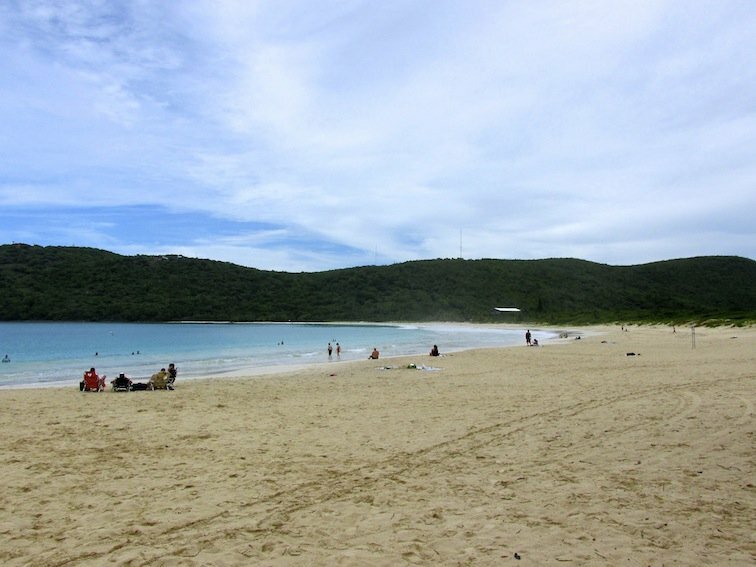 One things for certain, Flamenco Beach is one of the nicer beaches I’ve seen while traveling through Puerto Rico. If you can, spend at least 1-2 days exploring the small island of Culebra, get to know the locals, and go snorkeling at some of the more off-the-beaten-path beaches in Puerto Rico. 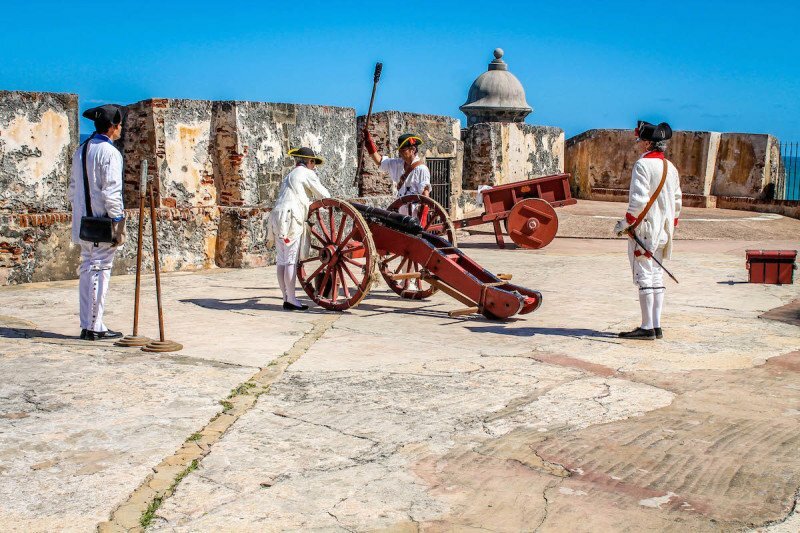 Located directly in downtown Old San Juan, I was fortunate to have booked a room just a block away from Fort Castillo de San Cristobal. Take your time either earlier in the day, or sometime in the evening to explore the fort and all of it’s history. As a bonus perk, try to stay for as long as you can just before the officials close it down as the sunsets from the top of the fort are truly out of this world! What are the top fun things you would like to do in Puerto Rico?